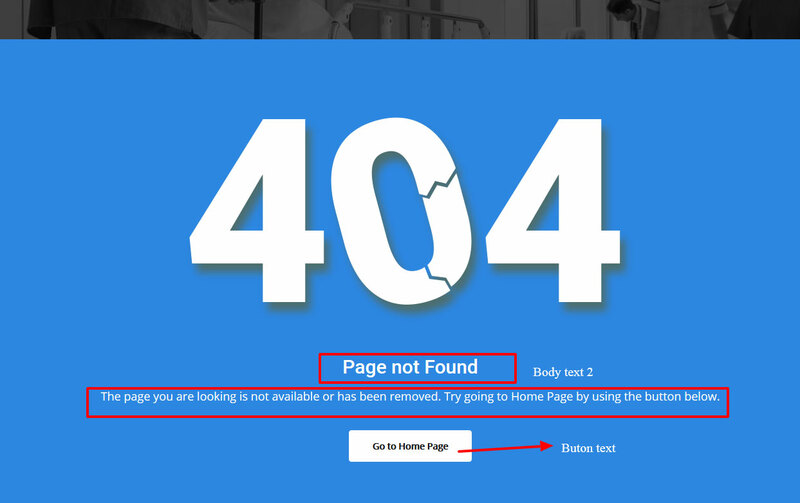 Mediplus Core: Required and must install plugin. 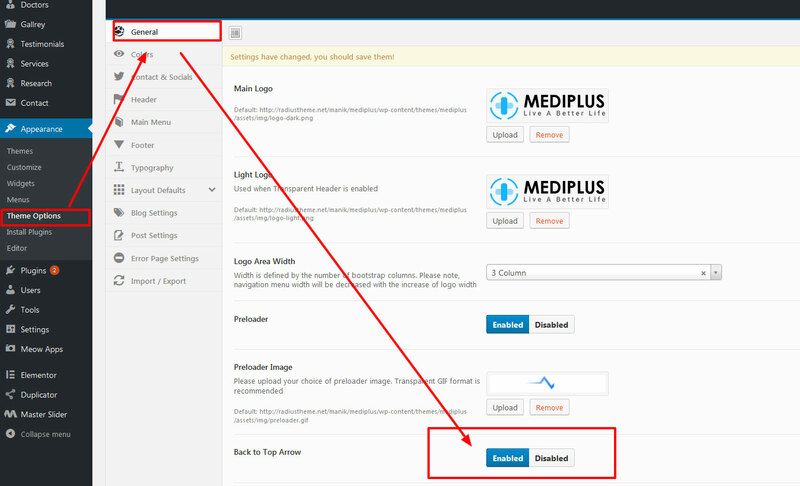 First please make sure that Mediplus Parent Theme is activated on your site. 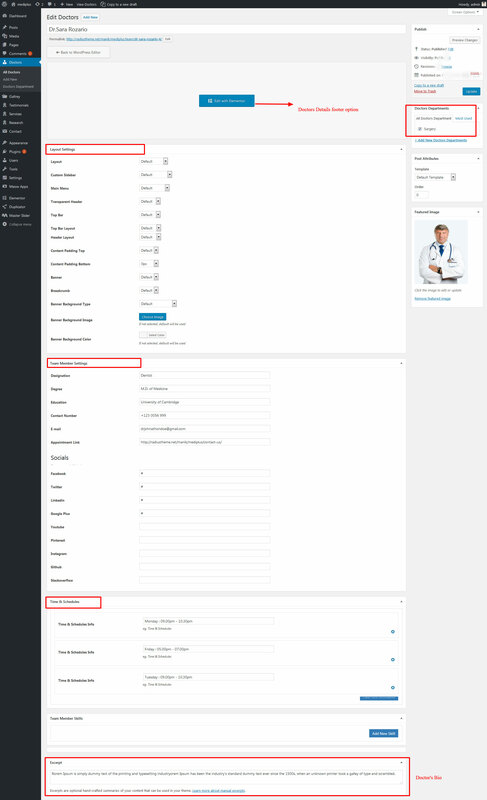 From Admin menu, navigate to Appearance -> Mediplus Options. Then go to Colors tab. 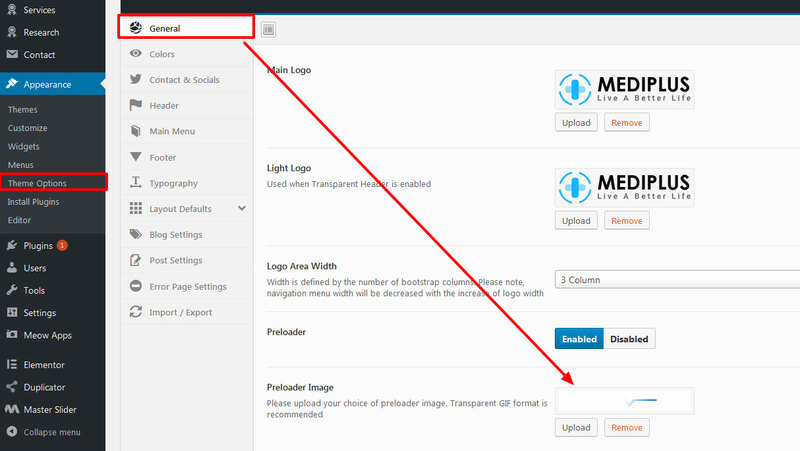 From Admin menu, navigate to Appearance -> Mediplus Options. Then go to Header tab. 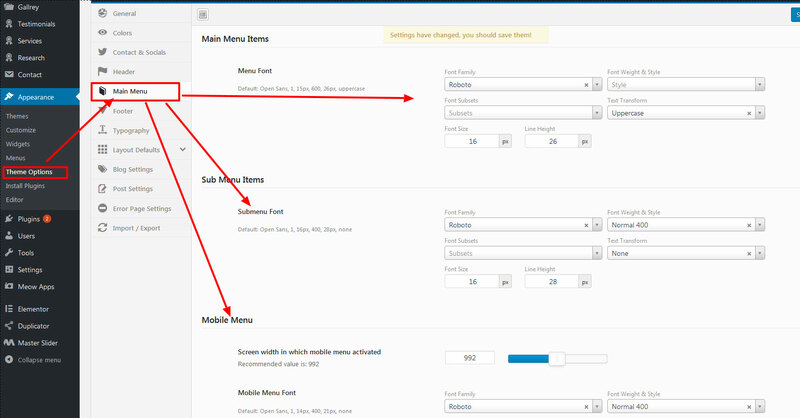 To customize the menu settings, navigate to Appearance -> Mediplus Options. Then go to Main Menu tab. You can change the typography of Body and Headers. To do this, go to Appearance -> Mediplus Options. Then go to Typography tab. 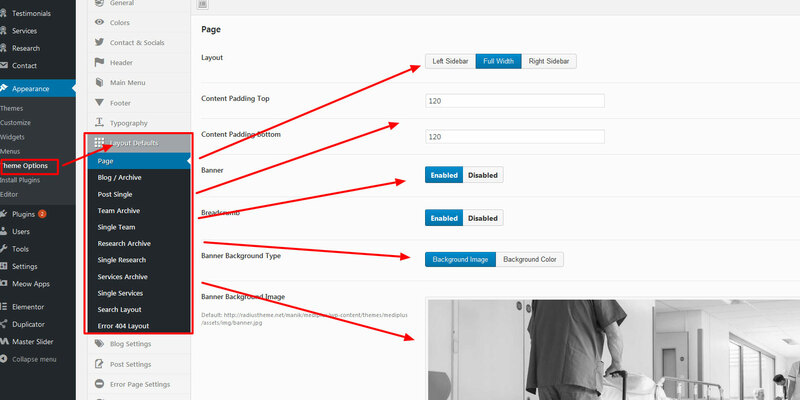 From here you can set default layouts for pages, blog, posts etc. 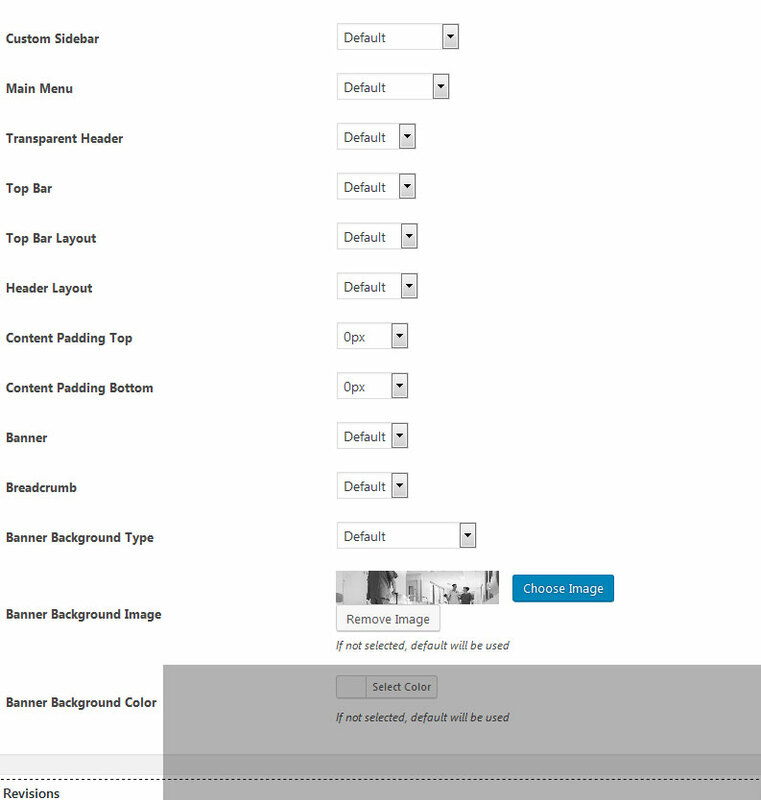 You can find this settings on Appearance -> Mediplus Options and then Layout Defaults tab. 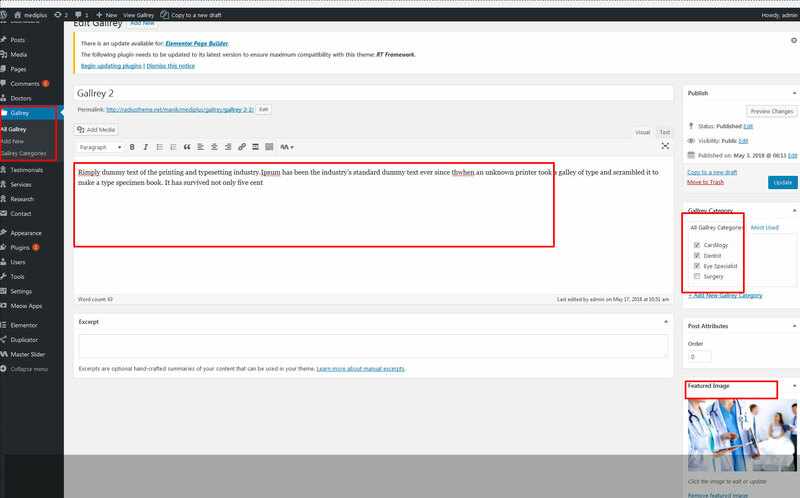 You can override the above settings for individual post types. 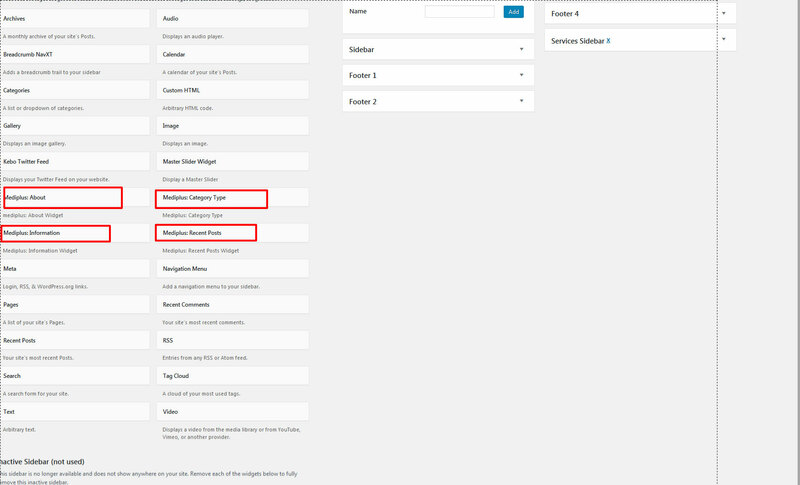 For any post types (like Posts, Pages, Services, Team, etc), when you go to Add New or Edit page, you can find similar settings like above under the "Layout Settings" box. If you change any settings from here, this will take priority. 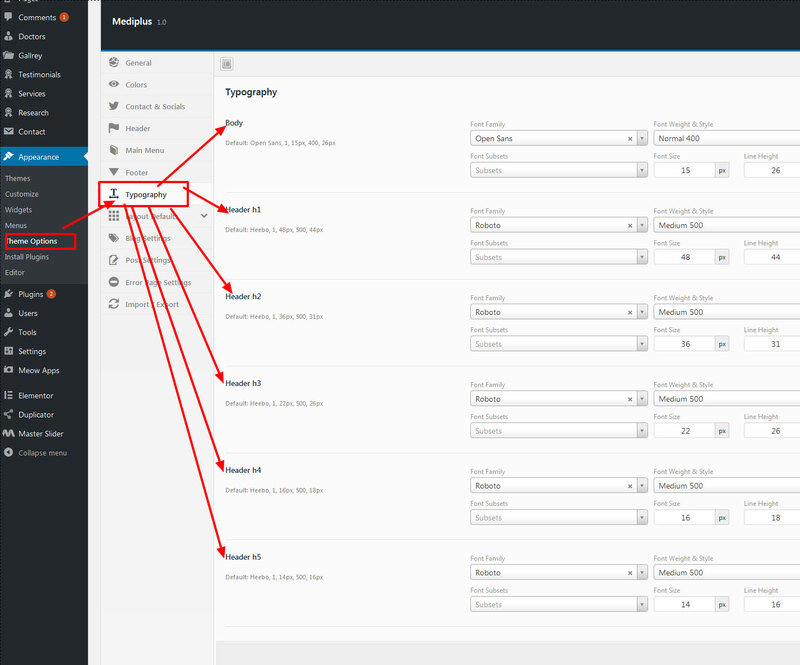 If you choose default, settings from the Mediplus Options -> Layout Defaults (described above) will be used. 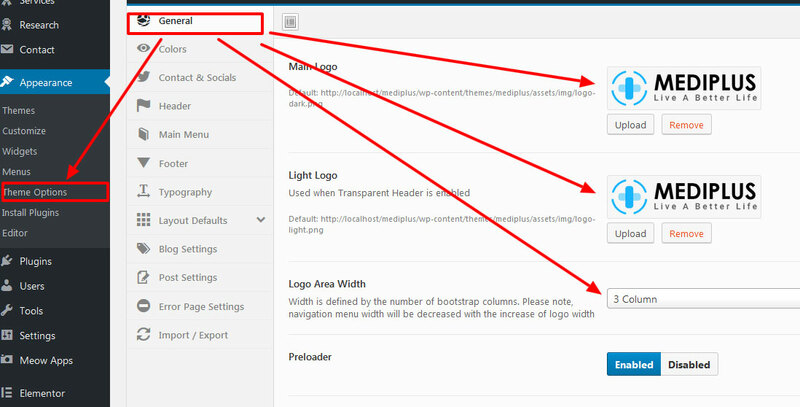 Navigate to Appearance -> Mediplus Options. Then go to Post Settings tab. 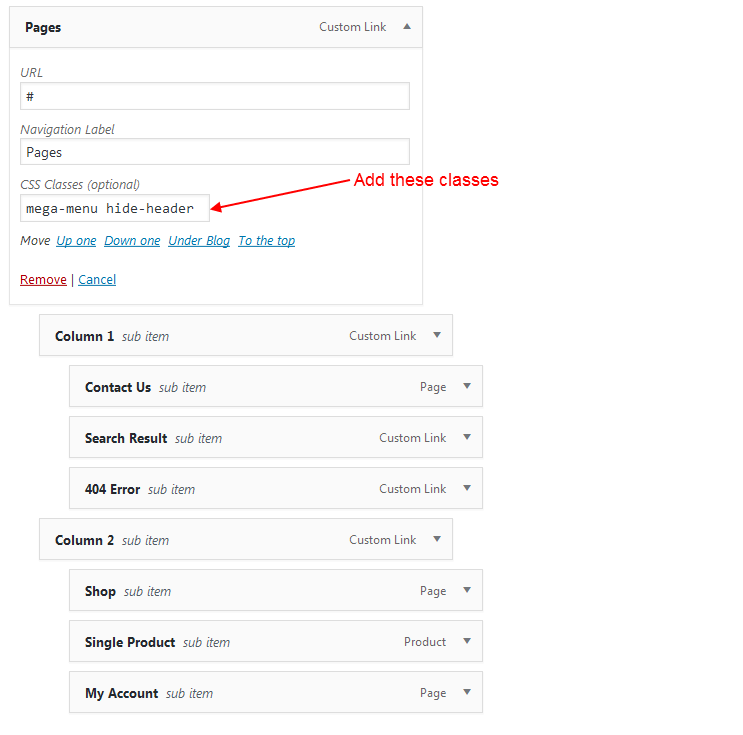 From here you can change Blog/Archive related settings. 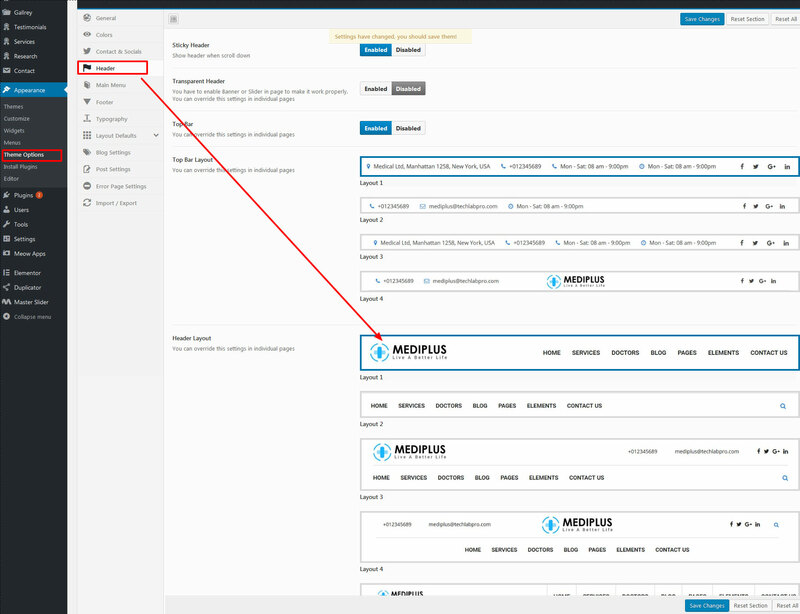 Navigate to Appearance -> Mediplus Options. Then go to Post Settings tab. 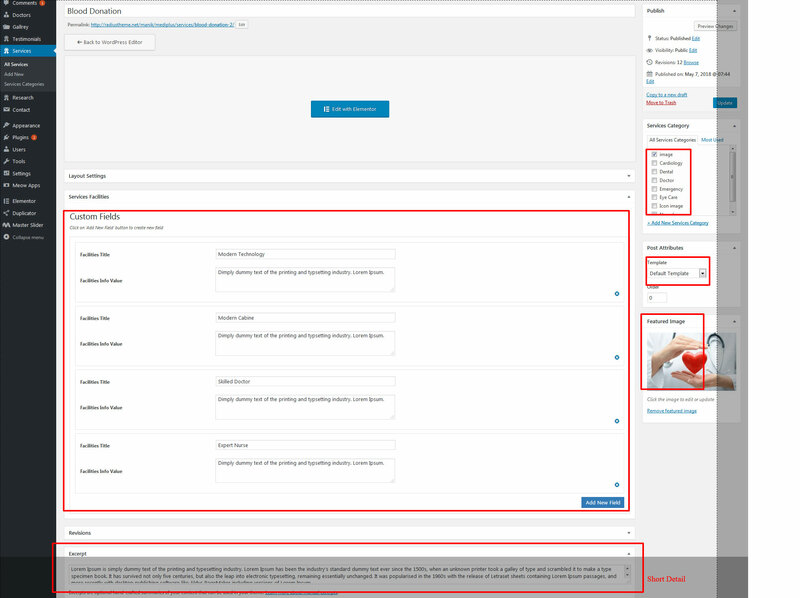 From here you can change settings for single post . For displaying Doctors, we have created Elementor elements for you. 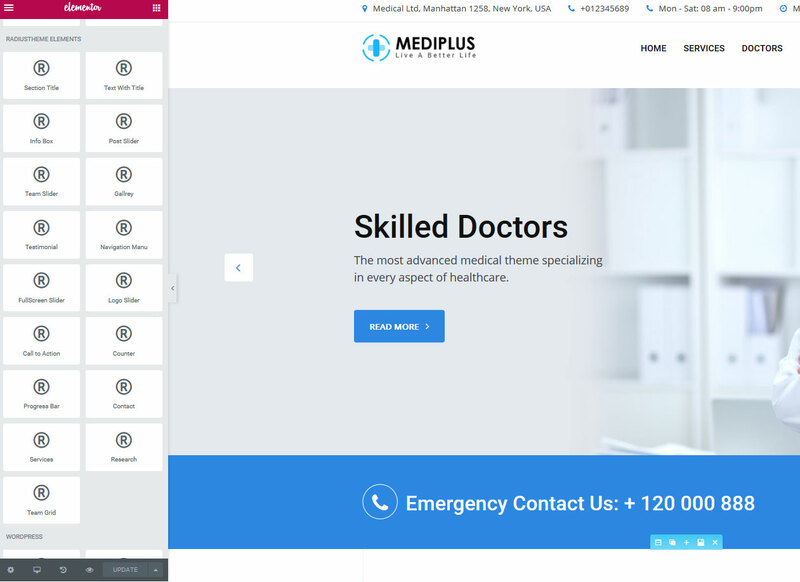 From Elementor, Go to RadiusTheme Elements Section, here you'll see Mediplus: Doctors element. For displaying Event, we have created Elementor elements for you. 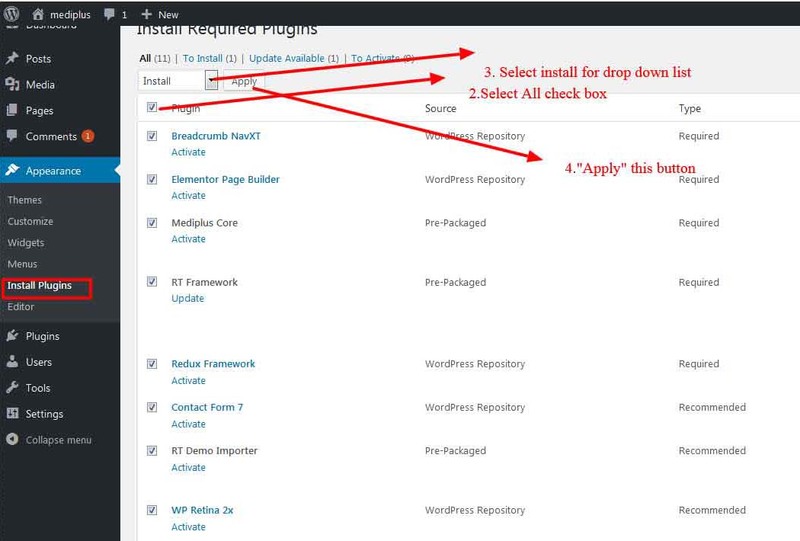 From Elementor elements, Go to RadiusTheme Elements Section, here you'll see Services and element. You can translate this theme to another language easily. 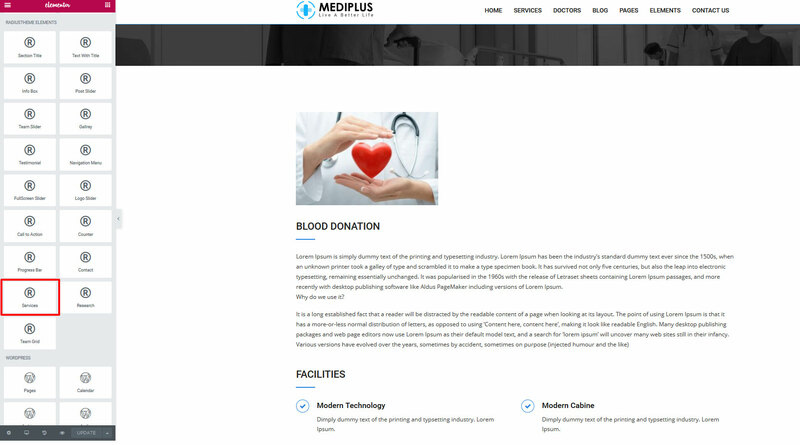 You actually have to translate two things for your website to work properly: "Mediplus" theme and "Mediplus Core" plugin. 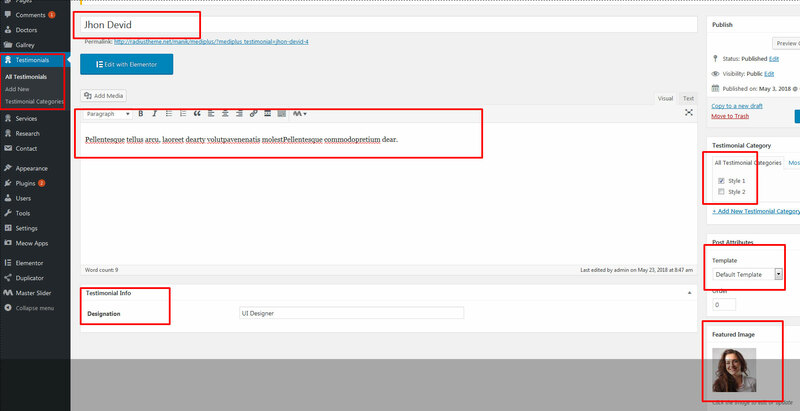 This plugin plays a major role in theme functionality, so if you don't translate this plugin along with the theme you can't be able to get the full translation. Using your FTP client, navigate to "/wp-content/themes/" folder on your server and delete the "Mediplus" folder from there.